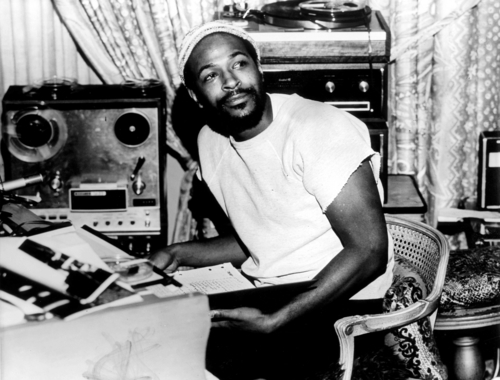 what Marvin Gaye gave to the music industry but, thirty-five years after his death, the man is still inspiring and influencing musicians. We all know huge hits like I Heard It Through the Grapevine, Sexual Healing and What’s Going On – proof there were so many sides to Gaye. Whether he was in political mindset and rallying against injustice or laying down an utterly seductive entice, the sheer power, passion and soul from his voice could buckle the knees! Some see him as The Prince of Soul - others as The Prince of Motown - and that is a pretty fair label. Huge, decade-defining albums like What’s Going On and Let’s Get It On (1970s) are hugely inspiring today and one can hear elements of his legacy in artists today. Gaye was tragically shot by his father on 1st April, 1984 during an argument. Who knows what the icon could have gone on to create and how far he could have gone. Whether he was singing solo or duetting with artists like Diana Ross – the two released a duet album, Marvin and Diana, in 1973 –, Tammi Terrell (Ain’t No Mountain High Enough) or Kim Weston (It Takes Two) he was an electrifying, versatile and peerless performer. Able to convey such intense emotions whilst retaining a common touch is rare but it is something Marvin Gaye achieved. 1982’s Midnight Love received superb and passionate reviews and was sadly the final studio album he released. There have been posthumous releases and collections and it seems, so long after his death, we cannot get enough of him! There is a lot of treasure still being unearthed and introduced to new generations. “In 1969 or 1970, I began to re-evaluate my whole concept of what I wanted my music to say," Gaye said, according to Rolling Stone. "I was very much affected by letters my brother was sending me from Vietnam, as well as the social situation here at home. I realized that I had to put my own fantasies behind me if I wanted to write songs that would reach the souls of people. I wanted them to take a look at what was happening in the world". "Gaye has designed his album as one many-faceted statement on conditions in the world today, made nearly seamless by careful transitions between the cuts," Rolling Stone wrote in its original 1971 review. He showed that all these issues are related — they're tied to one another, they're tied to each of us, and they're tied to pop music”. “This is Gaye's and his album's most important legacy: a template for modern popular protest music. Some of the best protest artists today — D'Angelo, Kendrick Lamar, Alicia Keys, John Legend, Common, Lauryn Hill — owe enormous debt to Gaye. "It was more than just a piece of music," Legend said when he performed the entire What's Going On album at the Hollywood Bowl in 2014. "It was a landmark of social commentary".